The title is a reference to these moments when you’re awake in the middle of the night and the world seems dreadful. You realise what can go wrong in your life. Night Thoughts can be brutally frightening. The whole album is about those traumatic, sleep-depriving memories that have you tossing and turning in your bed. We did the film after we finished the album. It definitely mirrors a lot of the themes on the record such as loss and disaster, paranoids and fear. You can regard the whole film as one big music video. Roger did a perfect job. It was important for us that he could interpret the songs on his own. All in all the album feels like a concept record, but actually we just wanted to have a classic, well-structured and old-fashioned album that you are listening to from first to last song – without playing on your phone in the middle of it. Anderson: When people look back to their youth they kind of idealise everything. And most of all they start to wail the loss of purity. In fact youth is not only about that. Things really can start to go wrong and slip out of your hands at this very early stage of your life, so this song ruminates in a more rueful way. Musically it was inspired by Wagner. It’s a very string-filled, heavy opener! 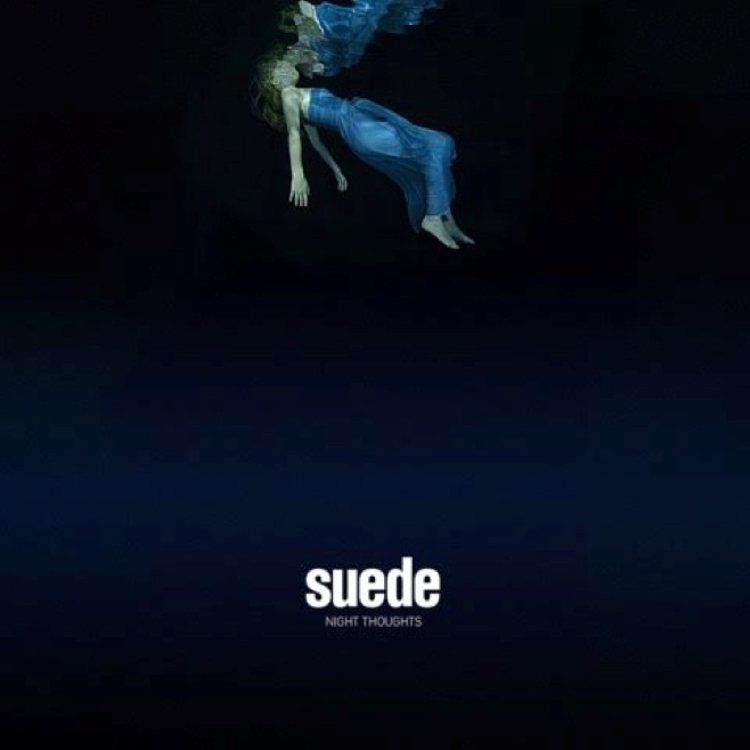 Anderson: This is a very classic Suede song. It was one of the later ones. We wrote it around the same time we did “No Tomorrow”. Before we wrote those two songs the record felt kind of weighty. There are so many private and weighty moments on this album, so the sound somehow mirrored that. At a certain point we realised that we needed another texture here. Anderson: Again, a very classic Suede moment. This one is more specifically about my father, his relationship with depression and how it affected me and my relationship to my kids. Actually a lot of the songs on the record are about this kind of reflection. Osman: „Pale Snow“ was more or less a lucky accident. It came about by putting two bits of two different songs together. There was the verse of a song and then there was the end of something else. We just put it together. Consequently the song is going through some kind of progess with lots of different chords in it. Anderson: Yeah, there’s a shift that makes it work and connects one song to the other. And that’s what makes this record different to Bloodsports. With Bloodsports we were more interested in individual, melodic songs. If you take “Pale Snow” individually, it appears slightly odd in terms of its structure, but if you take the record as a whole, it makes perfect sense. I guess you have to hear „Pale Snow“ more than once and then suddenly you realise it’s just a beautiful and atmospheric song. Unlikely, but beautiful! Osman: It’s also my favourite moment of the film. Music and scenary are working so well together! Osman: In fact it was the first song we wrote and the first one we finished. Really one of the fastest! Anderson: But we changed the structure a lot! We moved the guitar part because it didn’t fit with the vocals – speaking about the chorus. So we took the guitar part and used it as a solo, as a post-chorus, and now it’s one of my favourites. Richard’s playing is just amazing! Anderson: Musically it’s not like anything we’ve done before. It was kind of hard for my to do these kind of talky lyrics and it’s pretty close to funk, which is a strange place for us. This song is almost like a message to my little boy. I’m talking to him. Osman: It’s kind of driving, although the beat is almost too slow for this kind of track. It’s strange, but I also like it. Anderson: And the ending of it is very Suede-like again! Anderson: We thought about changing the key vocal of it, but in the end we didn’t do that. It has a certain feel of drama to it. I like the strings at the end of the song. Again, it was very important for us to link the song to the next one.